When you exercise, in particular after strength training, there will be a degree of slight tearing in the structure of the muscle the day or two after exercise. This is normal, and occurs because you have taken the muscle beyond what it would normally do in order to give it a reason to grow and change. The muscle will then repair itself and become larger and stronger as a result. This sensation, known as DOMS ( delayed onset of muscle soreness), feels like a heavy, sore sensation, similar to a bruised feeling in the muscle when you use it the next day or two. It is normal and goes away after a couple of days. Exercising again, although a bit difficult, will actually help this sensation go away more rapidly. 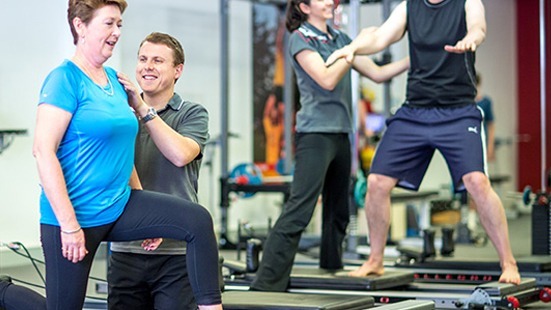 To book your FREE full body assessment, call us now on 03 9857 0644. We are located at 737 High Street, East Kew and parking is easy. Opening hours are Mondays to Thursdays from 7am to 9pm; Fridays & Saturdays from 7am to 2pm. Discounts are available for Seniors!